Even though puppies become mature enough to leave their mothers at eight weeks, sometimes, pet owners may need to take care of a younger pup. This guide will come in handy for pet owners who have to raise a 5 week old puppy. How much sleep does a 5 week old puppy need? Do you need to play with your puppy? What supplies do you need to care for a 5 week old puppy? Does your puppy need exercise? Taking care of orphaned 5 week old puppies can be a hassle, but in the end, it can be rewarding. Puppies may be orphaned for so many reasons, and some include failure of milk production, rejection by the mother, and even the death of the mother. There are several problems you will encounter on your journey to save the little pups, but this article will offer a step-by-step guide to ensure that the puppies grow up strong and healthy. Hypoglycemia or low blood sugar. Most times, these problems can arise at the same time because they are linked to each other. Be sure to observe them often and intervene if they are inactive or not interested in eating. This will help reduce the chances of mortality. A 5-week old puppy is a lot like a human baby. The puppy can eat only small quantities at a time. Solid food can be introduced at this point. Small puppies can’t eat large portions like bigger dogs. So you should feed the puppy all through the day, giving him small portions each time. Also, you need to stay close during feeding time so you can monitor the process to ensure that they do not overeat. You can opt for a raw food diet or puppy food of good quality. A 5-week old puppy doesn’t need milk supplements for nutrition. Maintain any of the earlier mentioned diets in small quantities and only increase it when the puppy becomes eight weeks old. Do not overfeed the pup. Milk is one of the best sources of energy for humans. However, cow’s milk can cause diarrhea when consumed by dogs. You can opt for goat milk if the puppy does not like solid food yet. 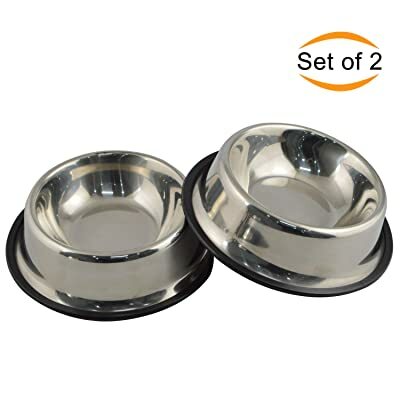 You should also ensure that the pup eats soft food items made specifically for puppies. Your puppy needs to stay hydrated as well. Keep him healthy and hydrated by providing the right amount of water at the right time. Water can come in handy to prevent diarrhea. Keep a bowl of water nearby for the puppy. Don’t change puppy food brands often. This is because changing food brands can cause digestive problems in the long run. Before picking out one brand, carry out some research for the best brands. When you find it, stick to it. Ensure that you read the instructions on the food package to avoid feeding the puppy too much. You need to monitor the puppy’s sleeping schedule as well. Puppies need lots of sleep. They should sleep for up to 18 hours a day. Getting a good shelter can facilitate this process. Your pup’s immunity develops better when he sleeps. When he gets adequate rest, he will be strong enough to play when he’s awake. You can play with the 5 week old puppy, but you need to do so without touching him. This is because pups of that age don’t like being touched. Also, when you touch the puppy too much, it may cause aggressive behavior when the pup is older. However, you can still teach the puppy tricks while playing. You can start by teaching him to stand or sit. Do it all over again until the puppy starts responding. Use treats for this training to appreciate the efforts of the puppy. Starting training at this early age can make you a proud owner of a well-trained adult dog. Most puppies develop a bad habit of biting people. This is not just a phase as it can continue as the dog gets older. Teach the puppy not to bite people or harm them through playtime. Most pups bite when they don’t have a mother around. Puppies can also pick up the habit from their siblings. Pay attention to the behavior of the puppy to know when to stop them from biting. As the owner of a 5 week old puppy, you need to get some supplies to make him comfortable in your home. One of such supplies is a good quality shampoo. A doggy shampoo is a necessity for the pup. It is also important to buy a good product to prevent skin problems or adverse reactions. Like babies, puppies need toys to keep them engaged. The best option for a toy is a small ball. 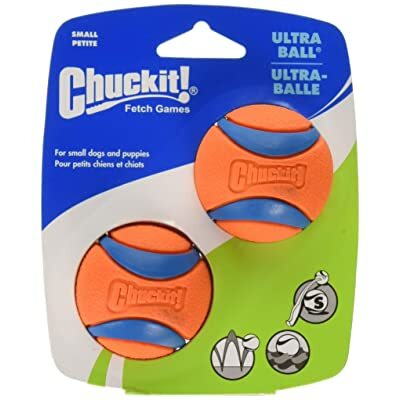 You can also choose many other toys for your puppy. You need a pup house as well. Your pup needs a safe spot to sleep in. The shelter must be large and comfortable enough for playing and sleeping. Keep sharp objects away from the puppy. Stairs, tables, and chairs can be a hazard in the house for the pup. You should ensure that you sleep train the pup to go to his shelter when it is bedtime. During the training period, you can stay close to the shelter until the puppy sleeps. At five weeks, a puppy lacks social skills. You need to start training the puppy to handle social interactions. This training should involve teaching the puppy to interact with human beings as well as other animals. The best spot for this is a park nearby. This could help enhance social skills. Also, you can ask your friends and family with previous experience for help in training the pup to socialize. Invite them over during the socialization training as well as feeding. You also need to train the pup to stay home alone. If you do not do this as soon as possible, the dog may become hyper when left alone at home. You may come home to a messy house with damaged chairs, shoes, and clothes. To do the home-alone training, you need to set the pup’s crate in a secluded area with water, a food bowl and newspapers. Leave the pup in the secluded area and go out for a while. The pup may be aggressive and hyper when you start, but he will become calm later and stop messing up the house when you’re not home. Remember to reward the pup when you notice an improvement in behavior. This helps to encourage the pet to learn faster. Like humans, puppies need exercise as well. The pup needs to be healthy and active to grow up properly. The best exercise recommended for this purpose is going on a walk with the puppy. Walking regularly can help strengthen the pup’s immune system to help ward off infections. Also, exercise is a good way to channel the pup’s activeness into something positive. Experts in animal behavior believe that a 5 week old pup needs at least 5 minutes of exercise daily. However, this figure can change as the puppy grows older. Taking care of a 5 week old puppy is a lot similar to caring for a human baby below the age of one. The training, feeding and teaching procedure requires patience and lots of time. Your 5-week old pup needs a lot of attention to learn different skills since there is no mother figure around. So try to be available as much as you can. You can also ask your family and friends to visit often and help train the pup with you.